Tim Kelly and Steven Thomas of Shadow Keepers Join Aaron and James this week. A little information about the Shadow Keepers. Shadow Keepers role is to research, observe and document the many different subjects which make up the paranormal field. Our focus includes extensive research to provide our members, readers, and viewers of all facts, based on evidence, that we can uncover and confirm. There are an abundant amount of beliefs, views, techniques, and scientific devices that shape the ... See More paranormal field. Our goal is to observe and study in an objective format. We believe it is imperative to keep records and document what we research and observe. 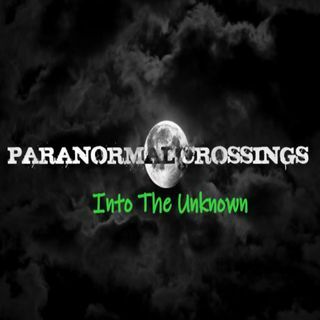 This includes evidence from our own paranormal investigations or data provided to us from other individuals or groups. Documenting and keeping a record of any evidence, from EVP’s to UFO’s to remote viewing, is needed to provide accurate and complete data for future researchers and investigators in the field.